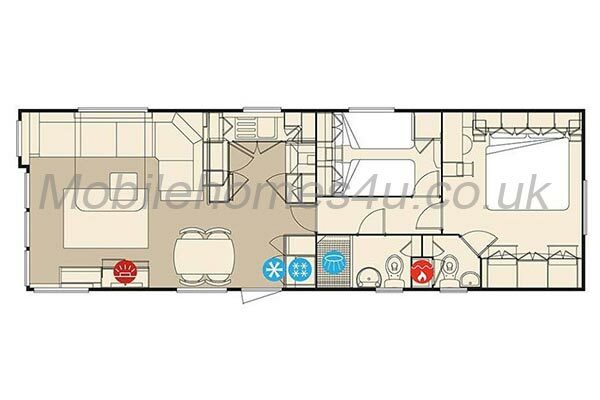 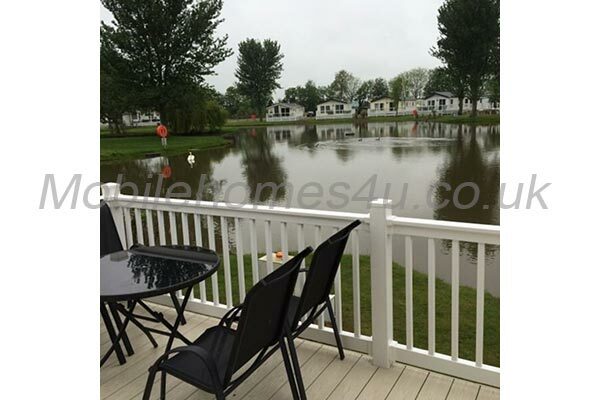 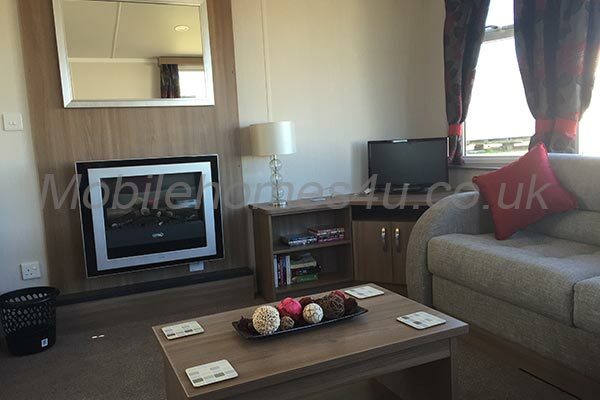 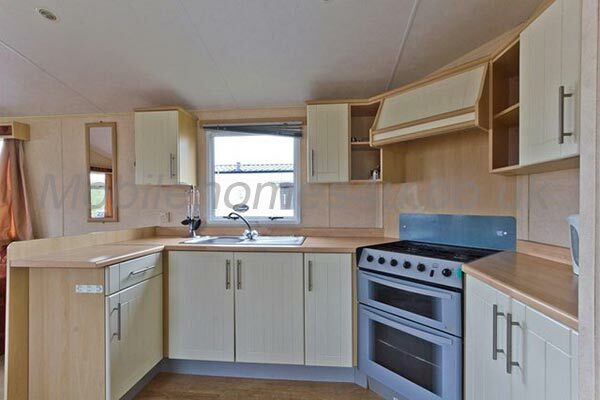 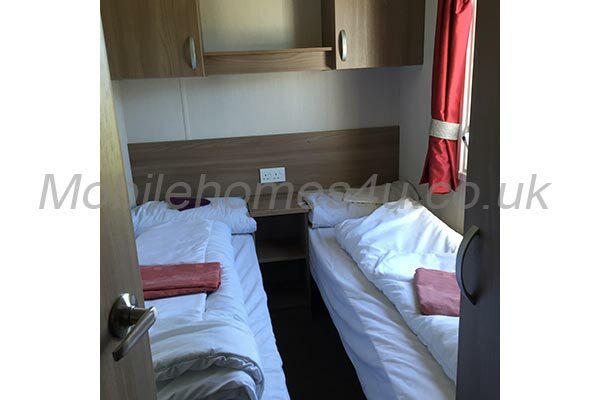 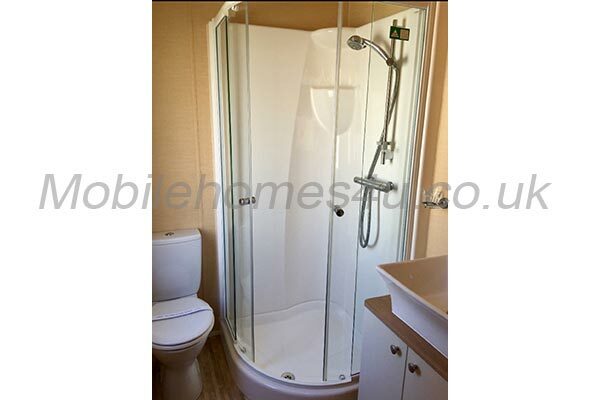 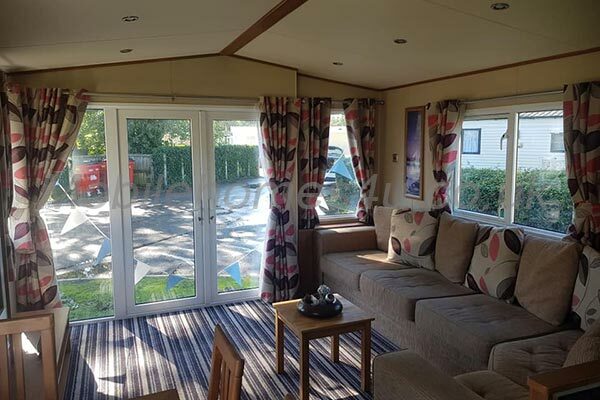 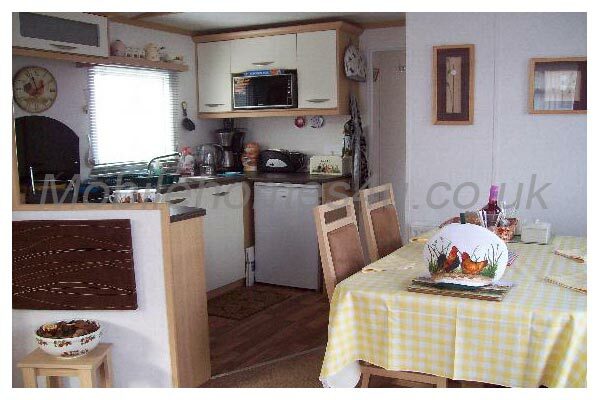 Our caravan is a Willerby Rio Premiere with gas central heating, double glazing and full size fridge freezer. 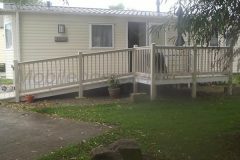 It has decking and a ramp outside and patio furniture. 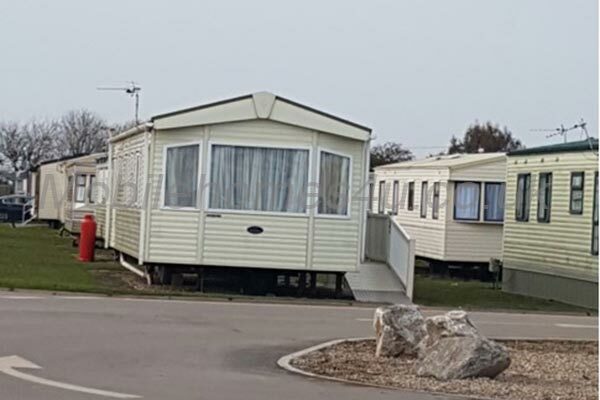 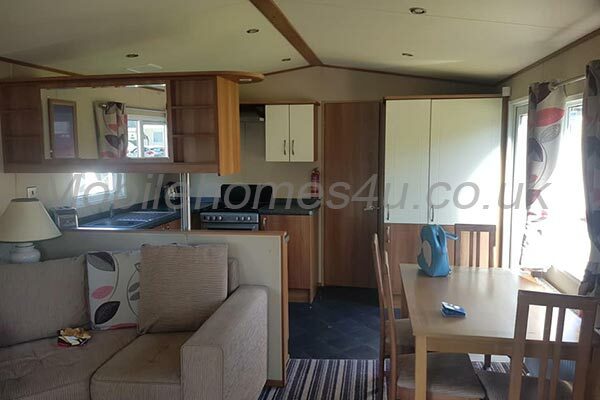 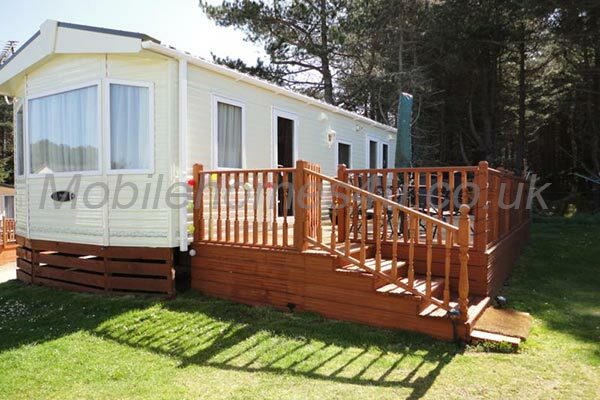 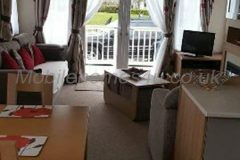 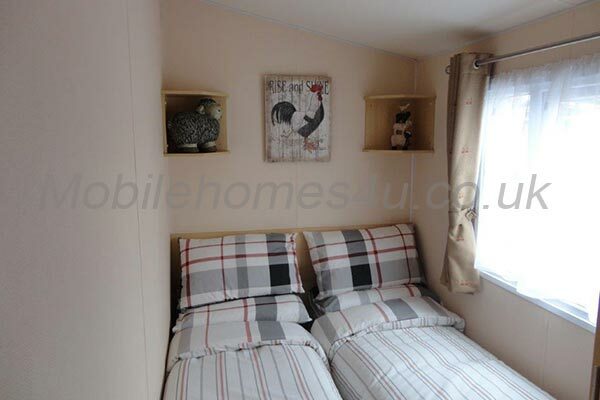 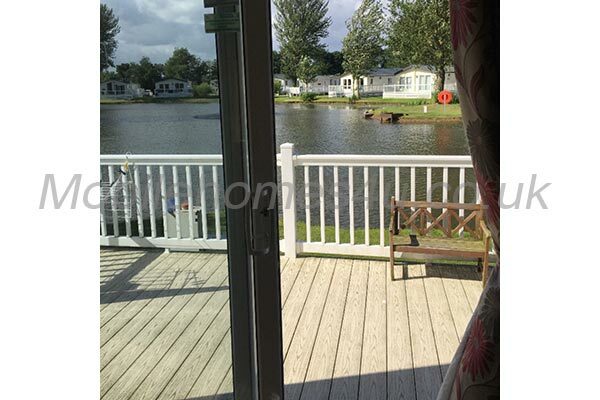 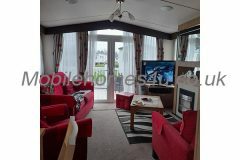 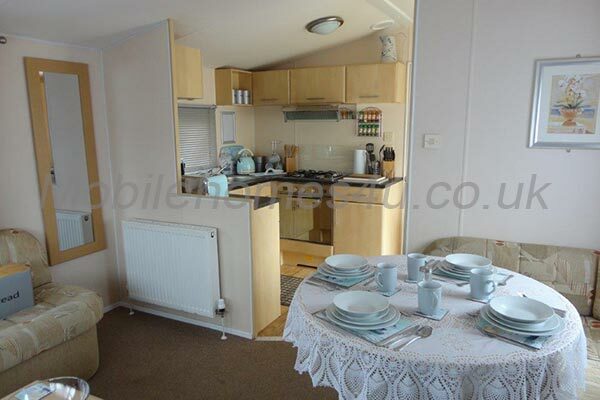 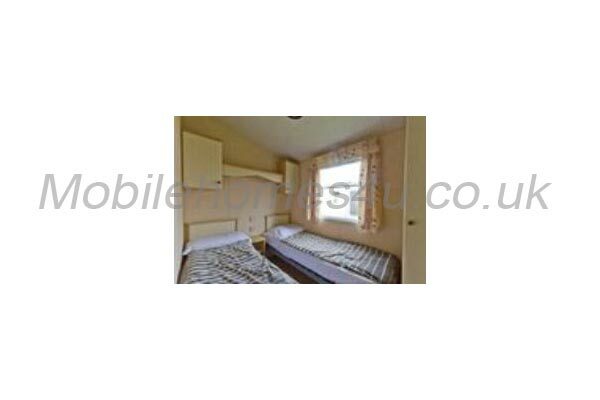 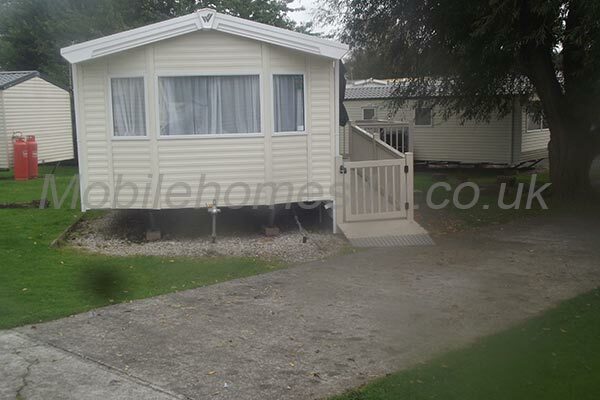 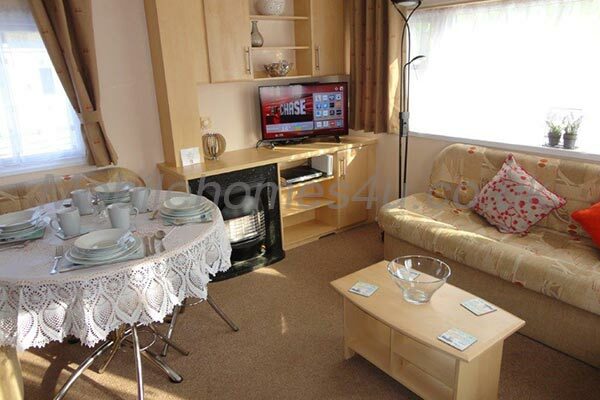 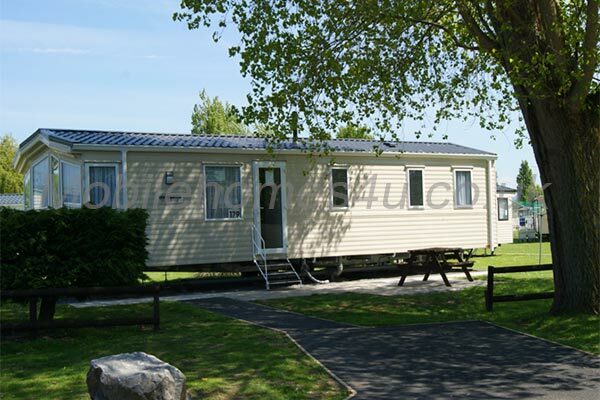 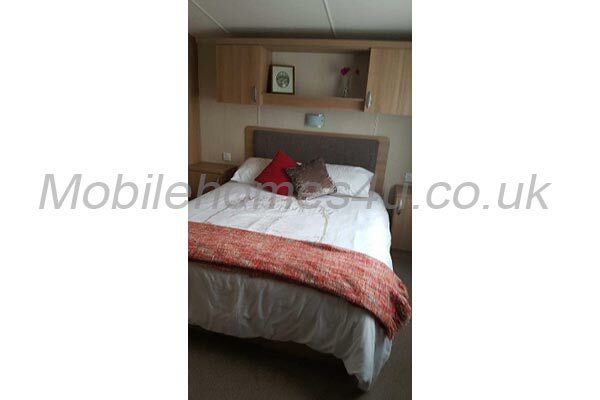 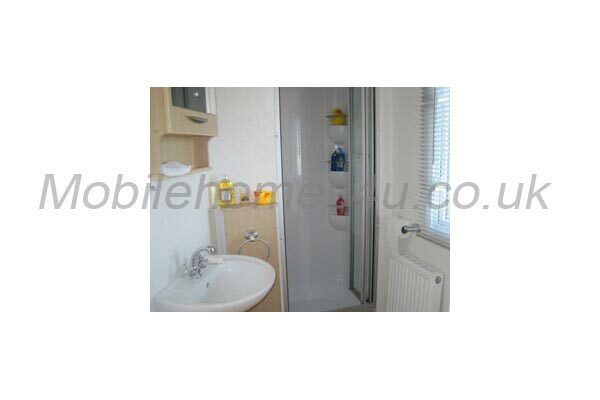 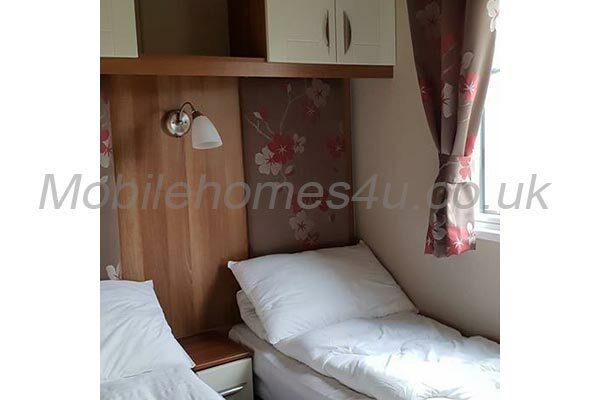 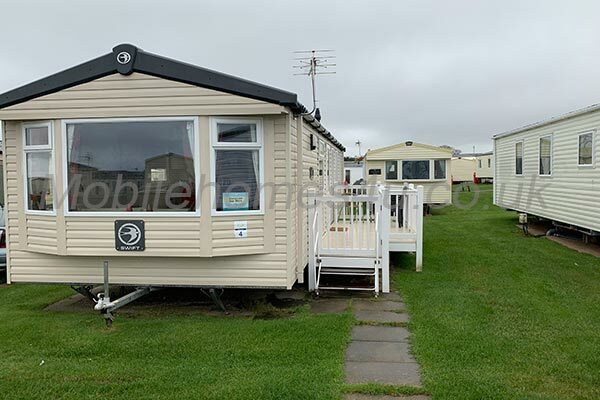 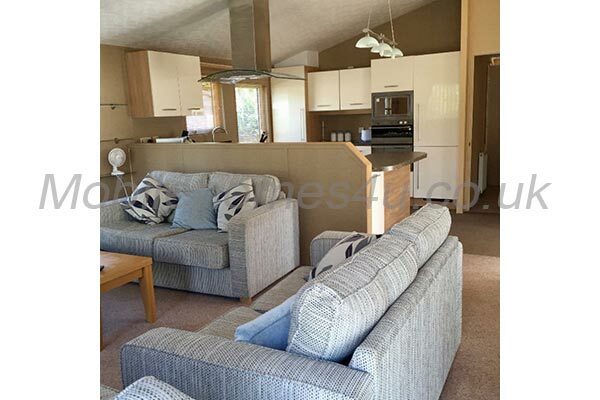 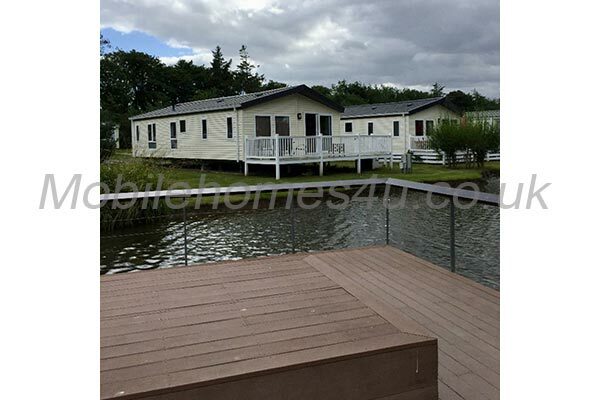 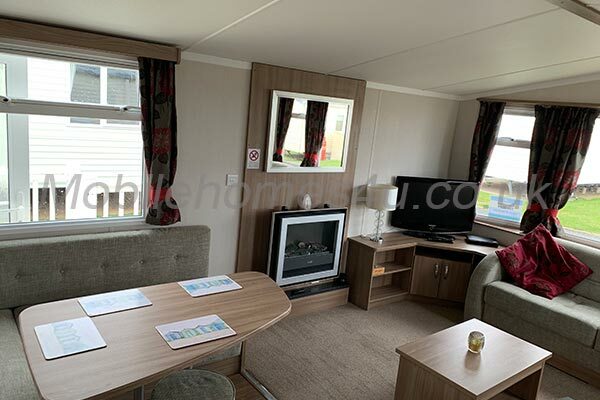 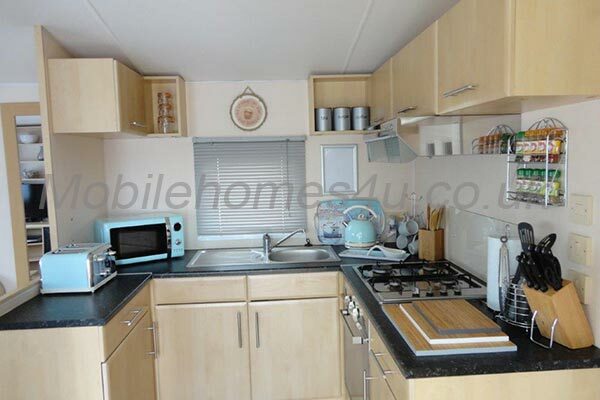 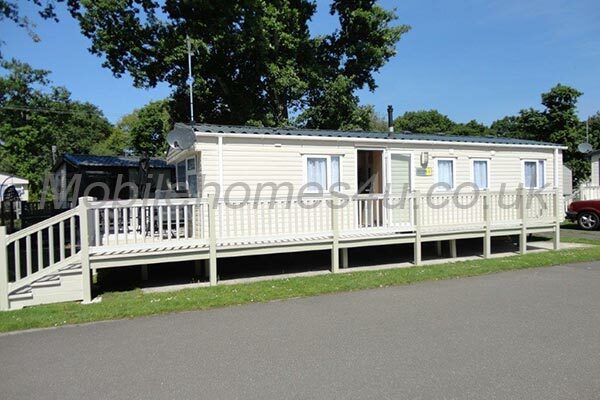 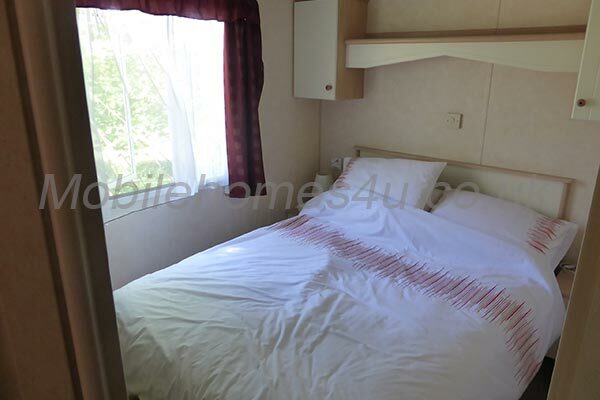 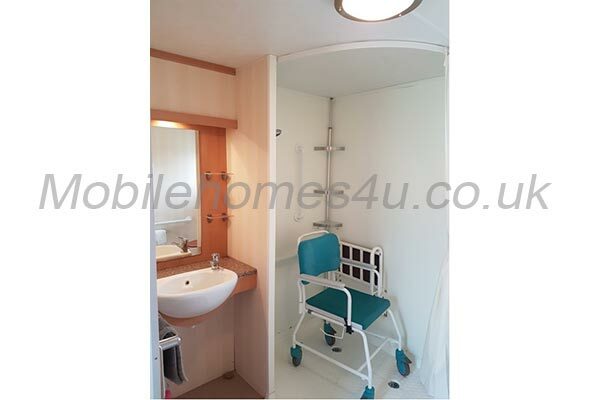 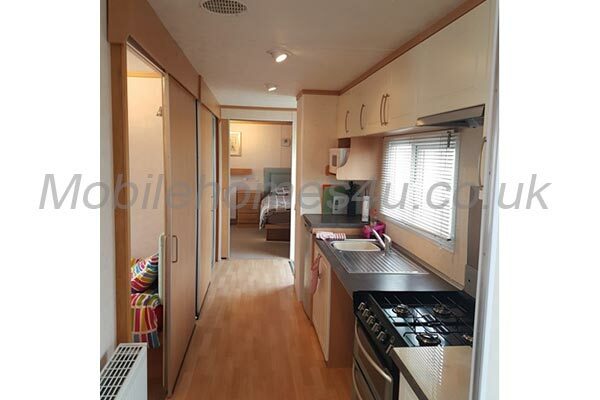 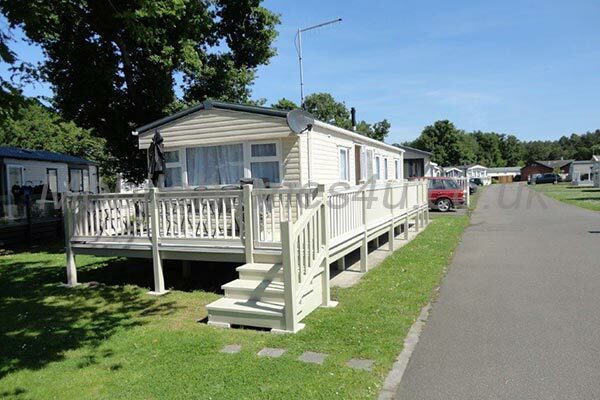 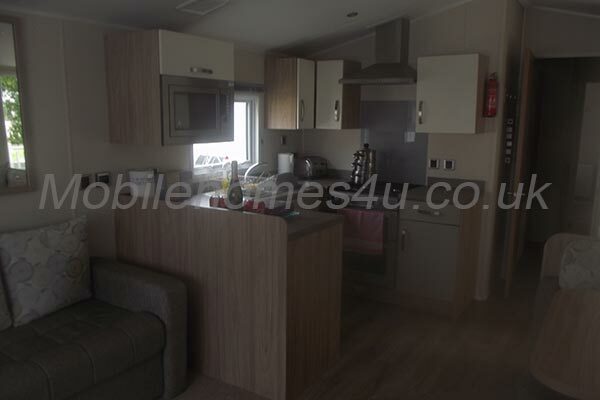 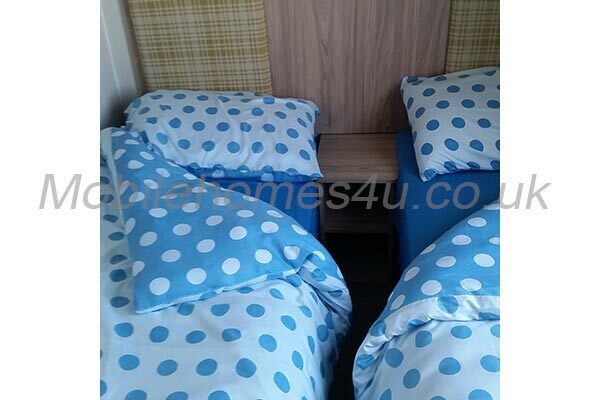 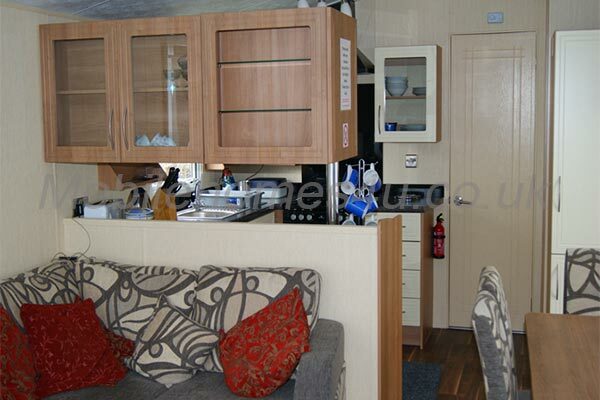 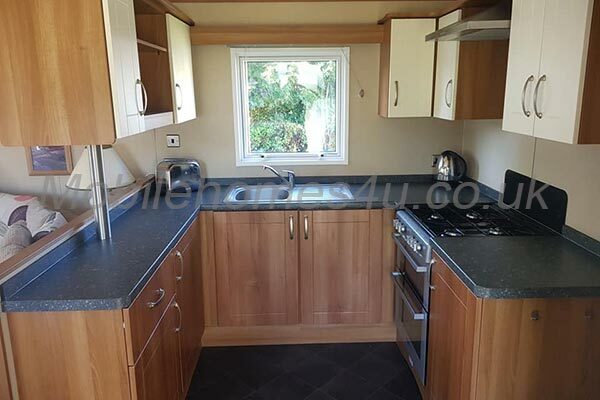 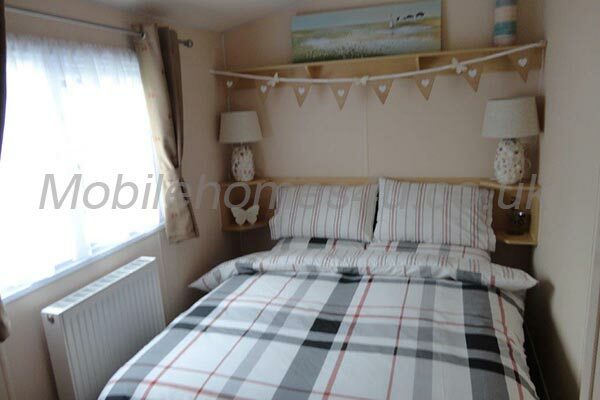 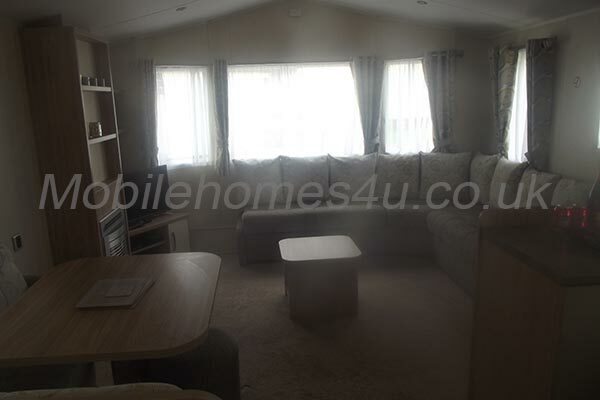 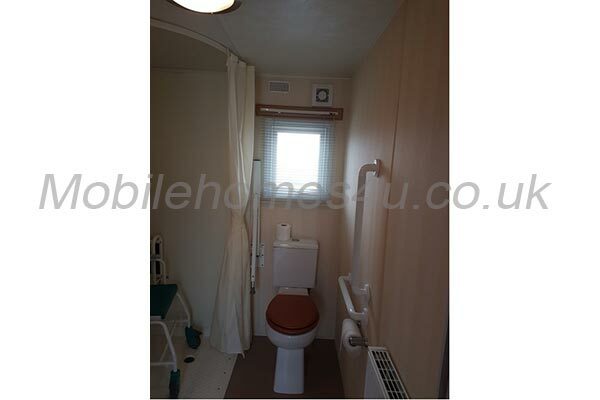 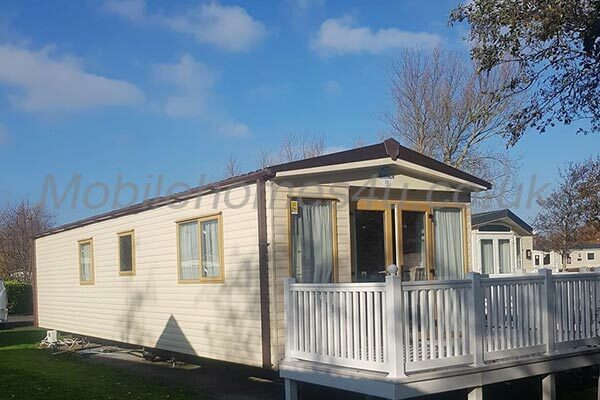 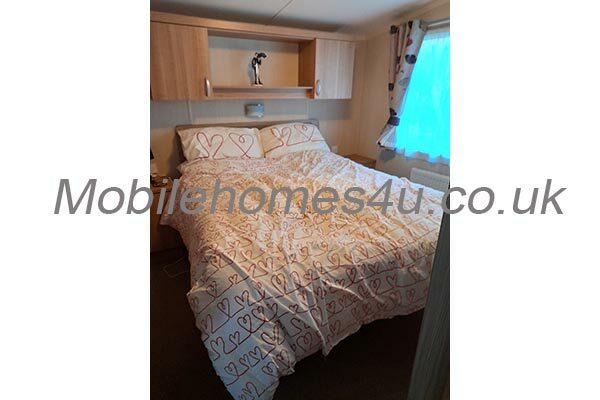 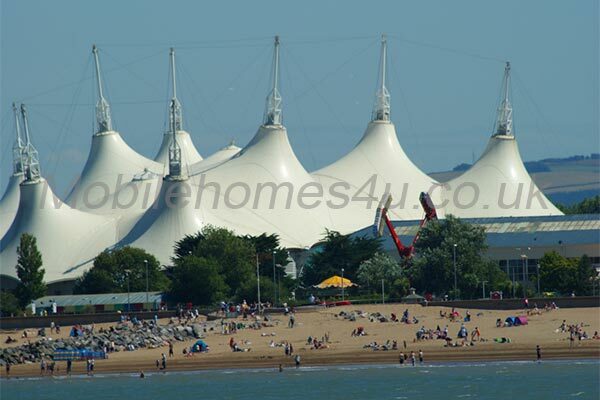 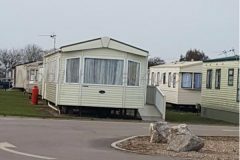 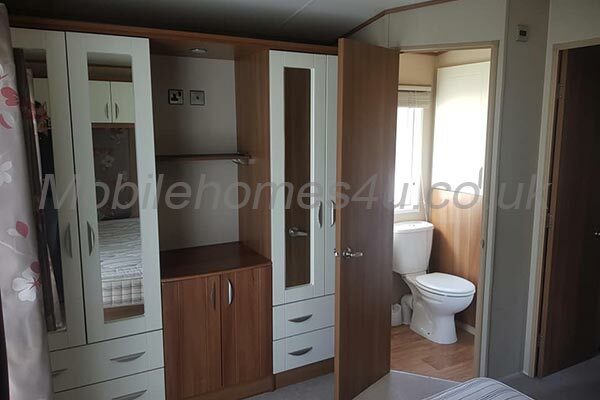 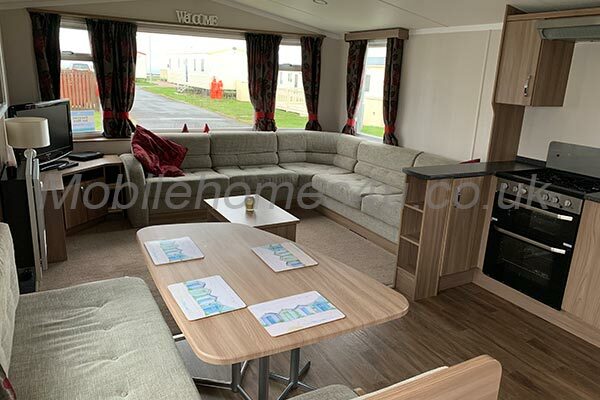 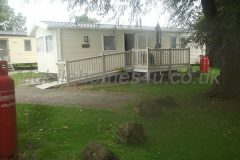 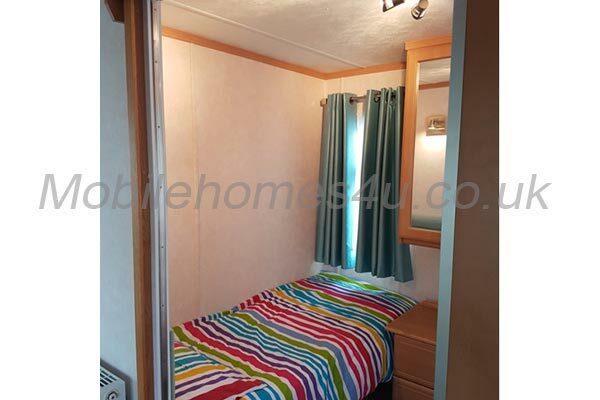 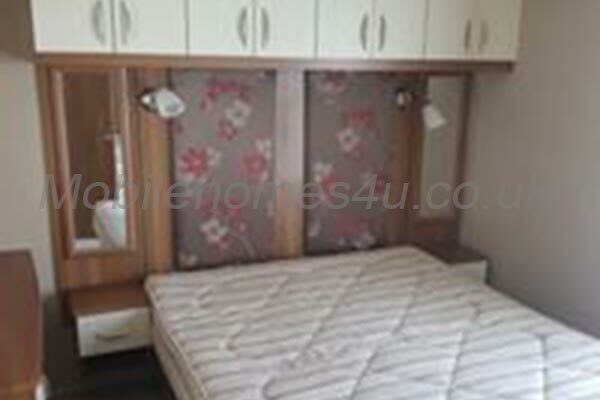 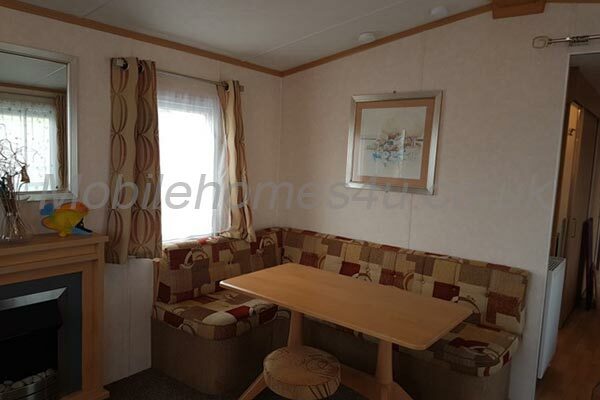 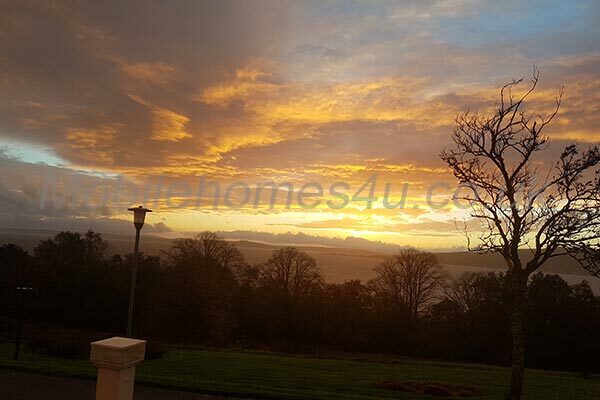 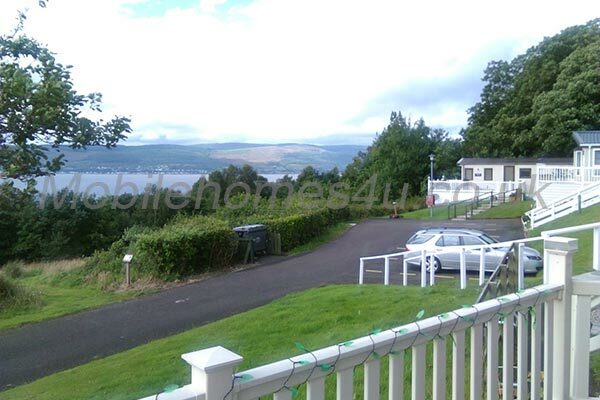 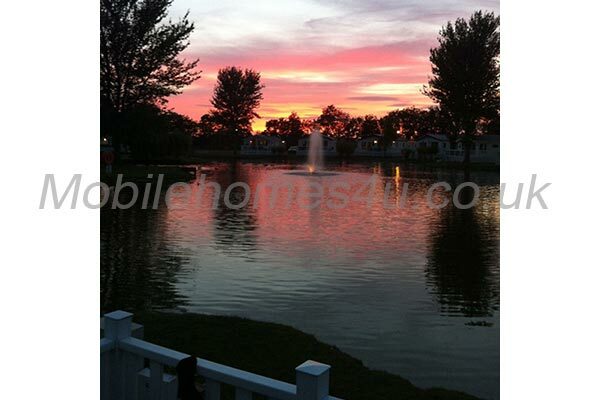 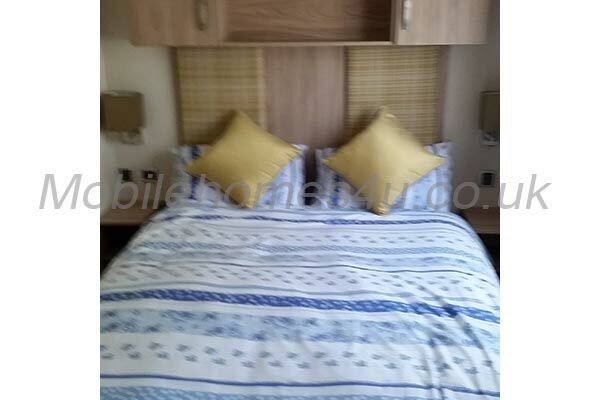 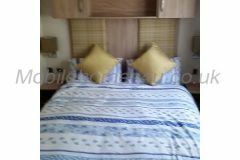 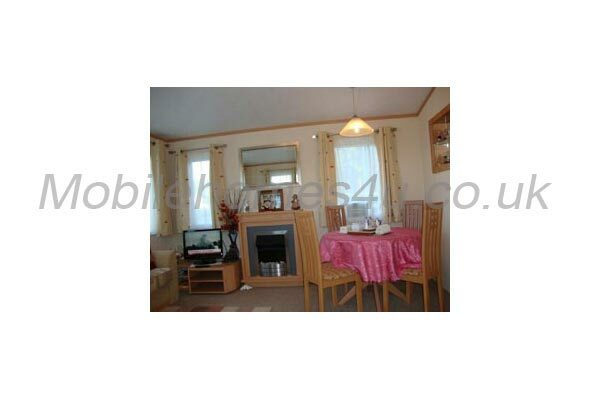 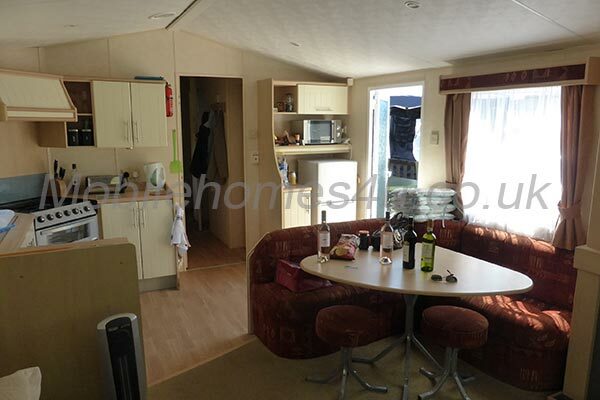 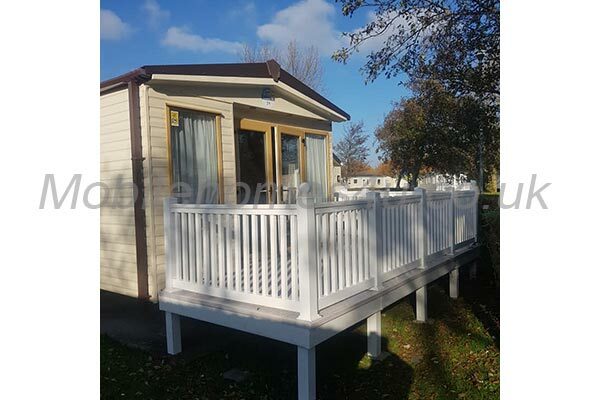 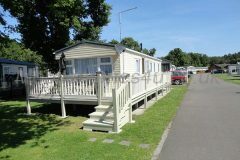 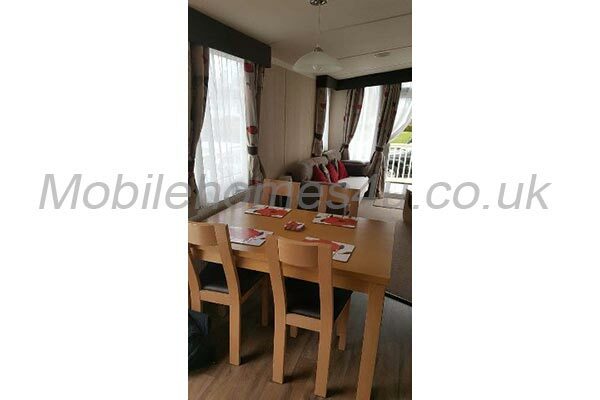 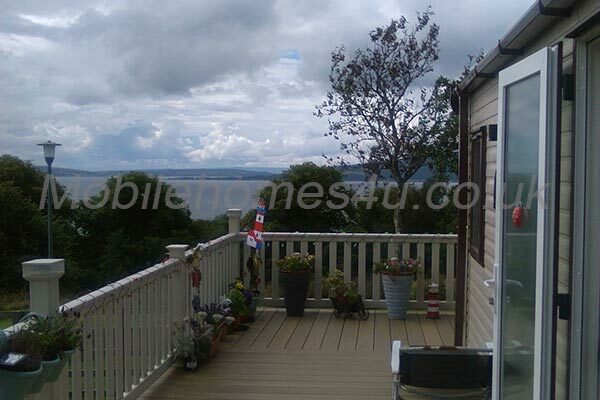 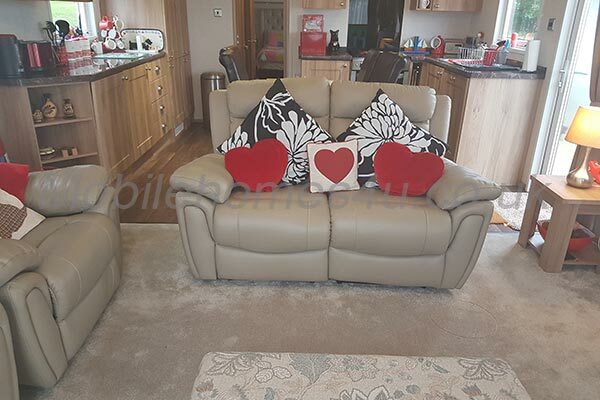 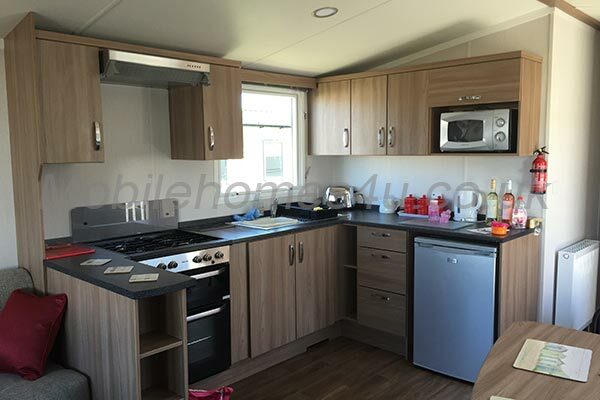 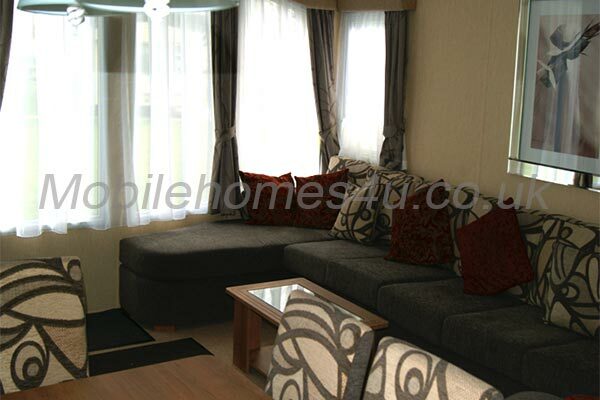 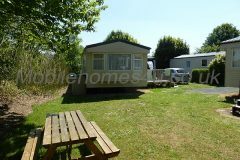 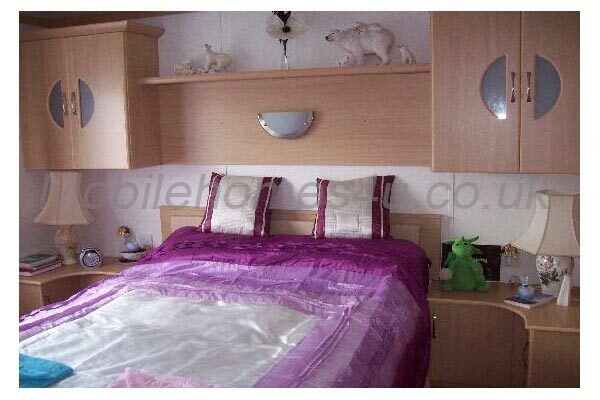 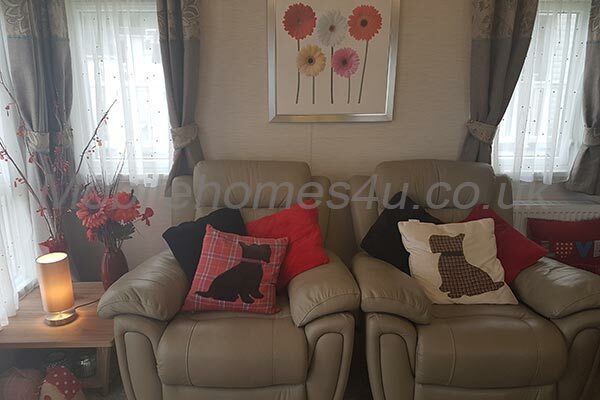 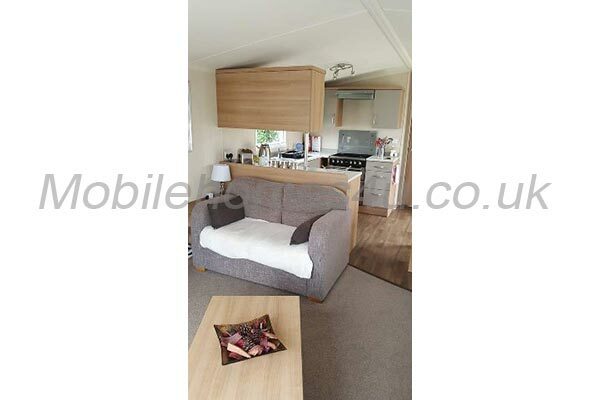 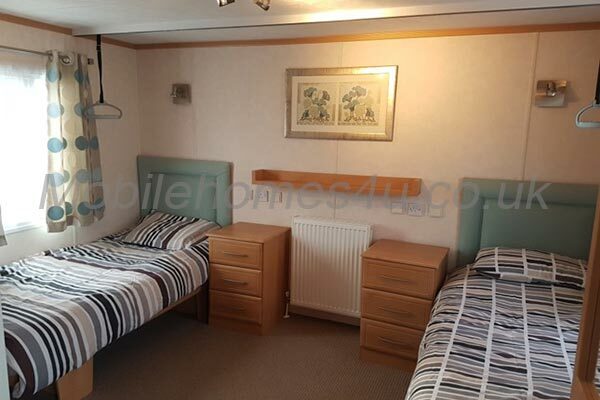 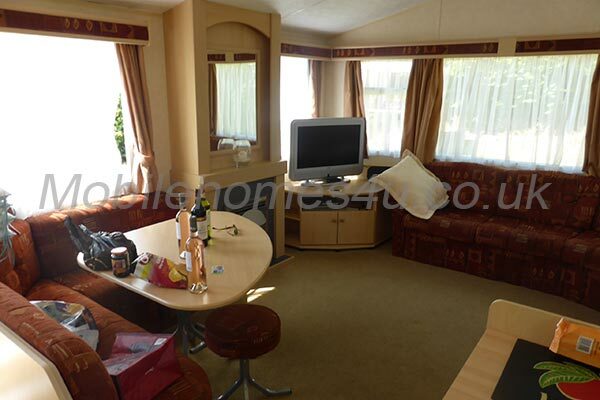 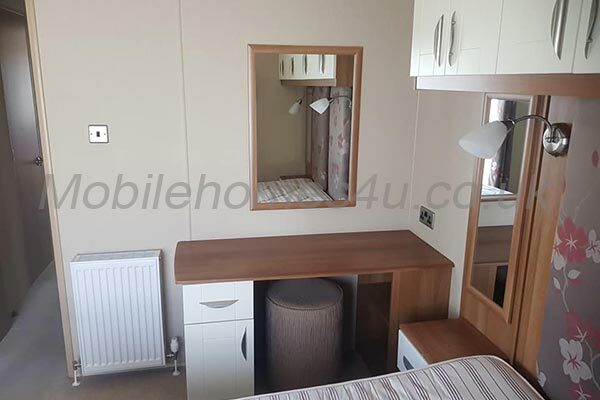 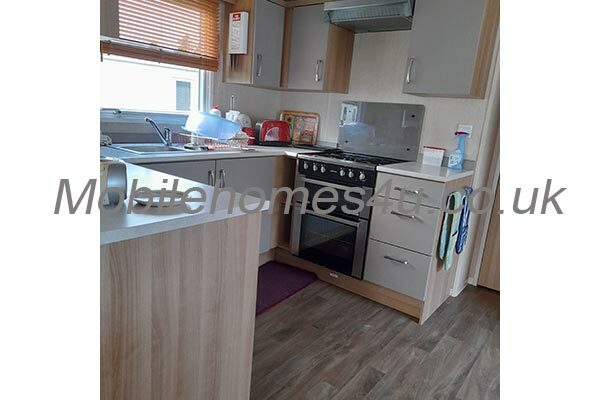 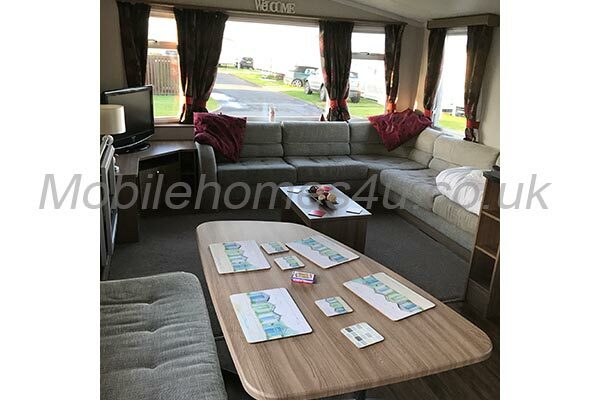 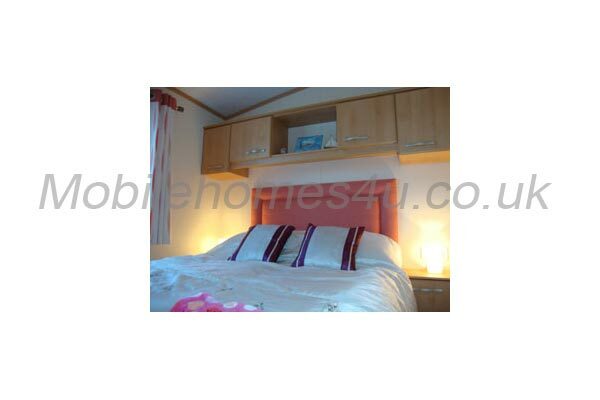 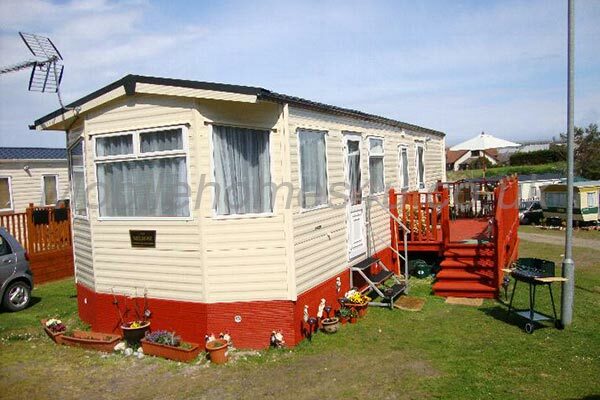 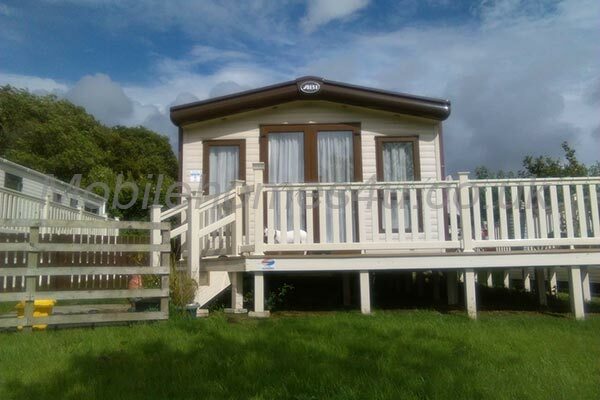 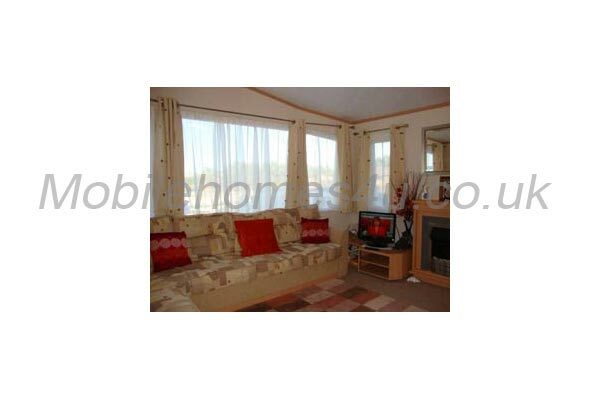 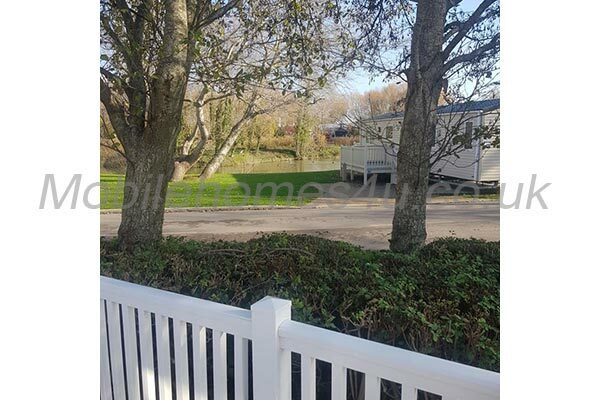 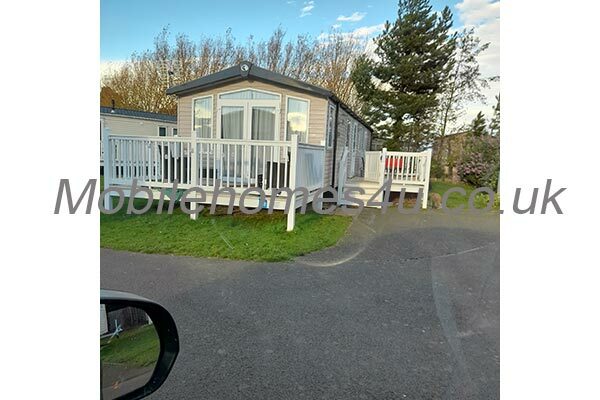 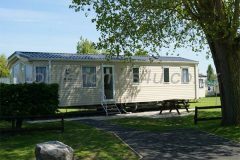 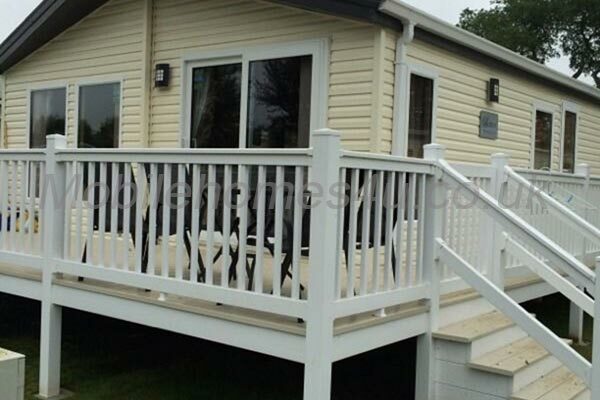 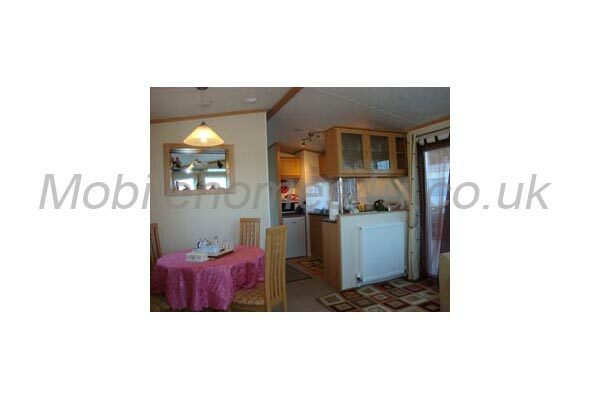 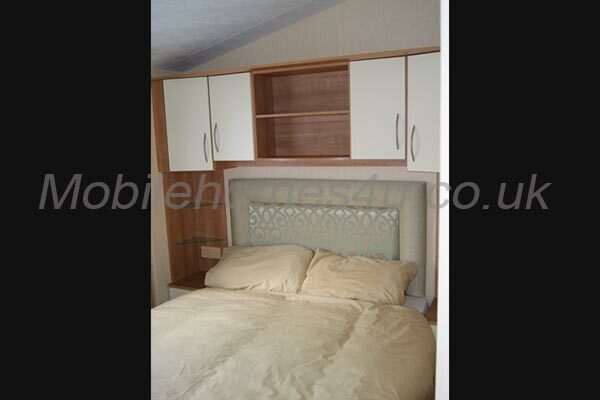 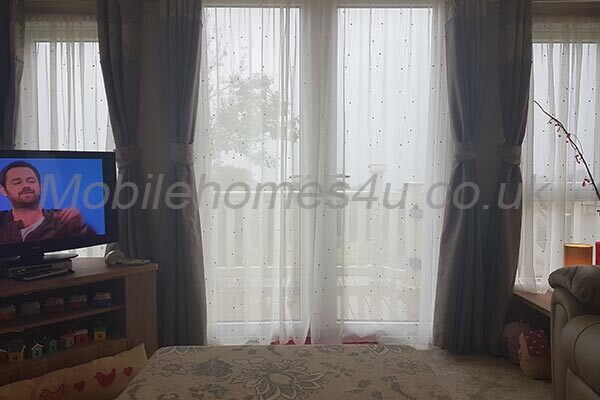 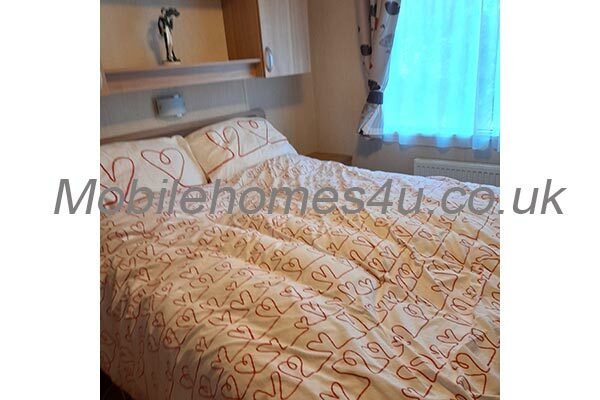 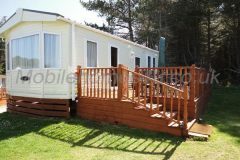 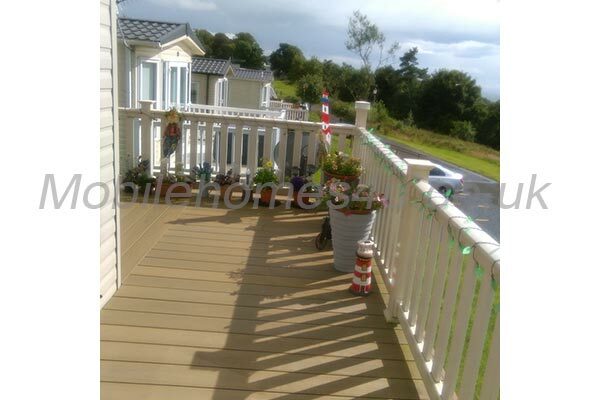 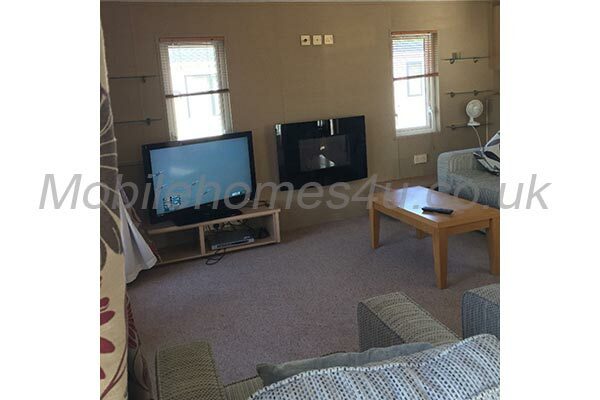 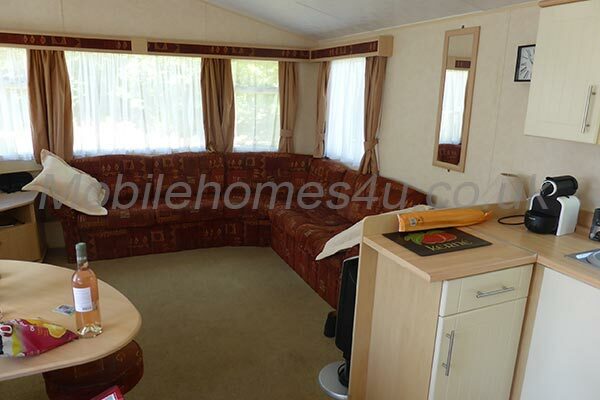 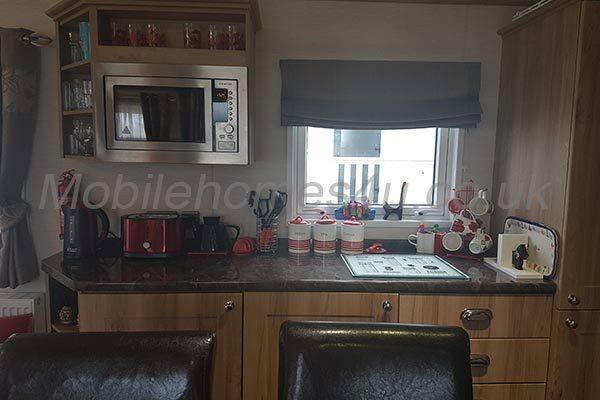 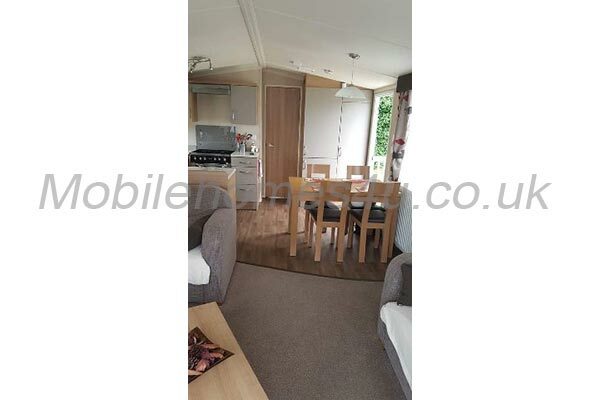 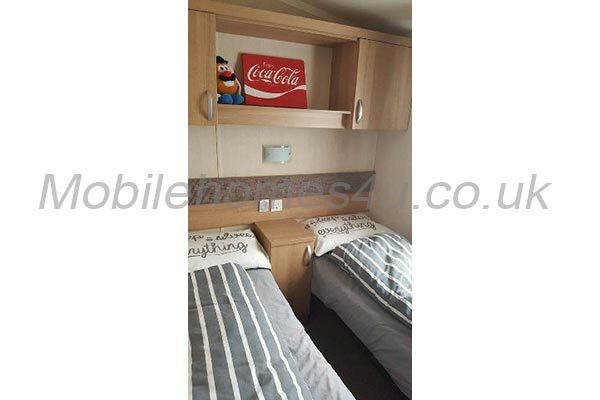 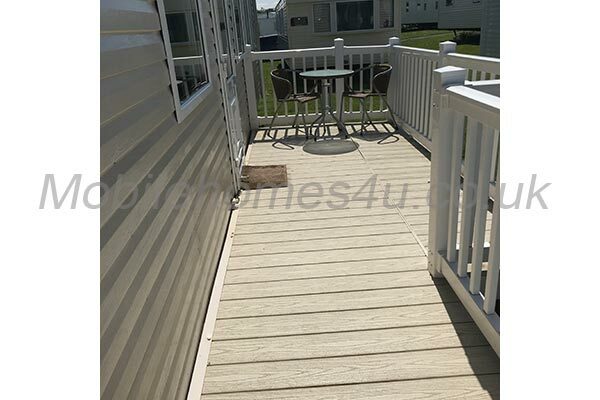 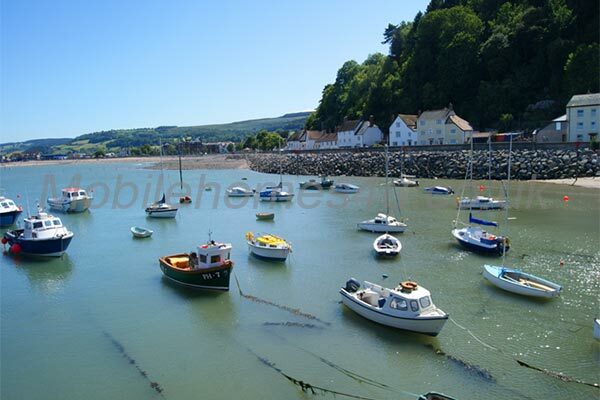 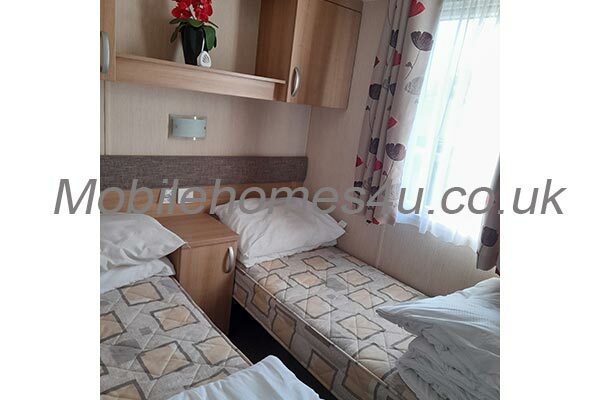 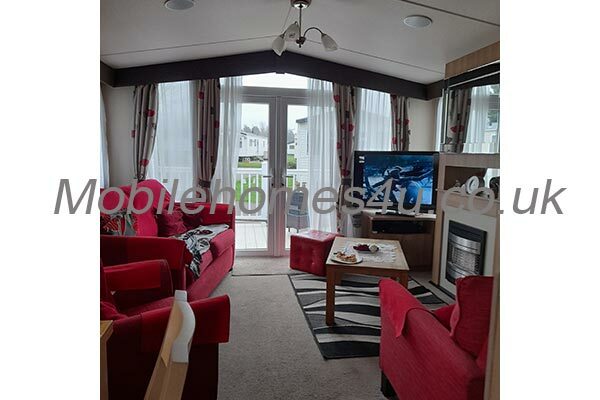 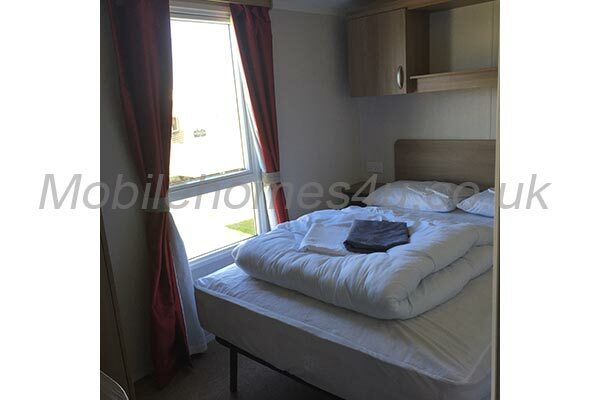 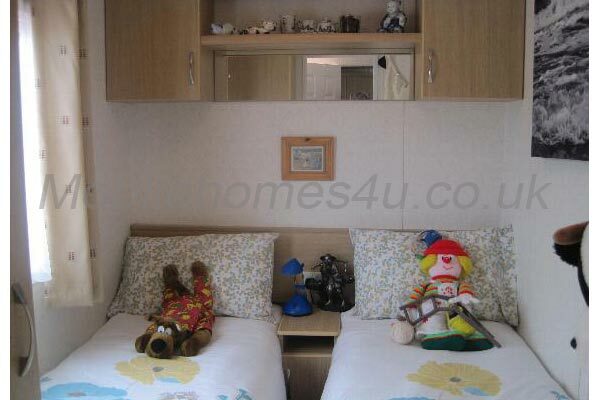 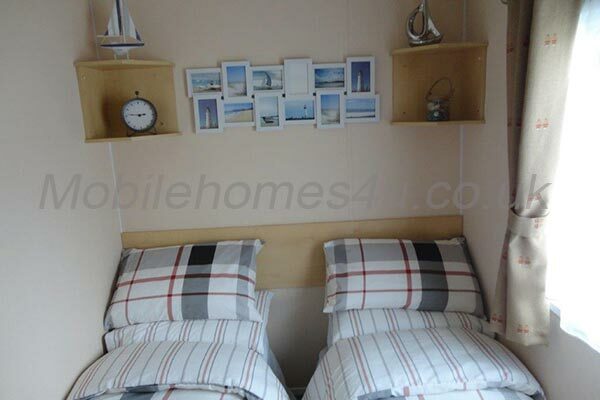 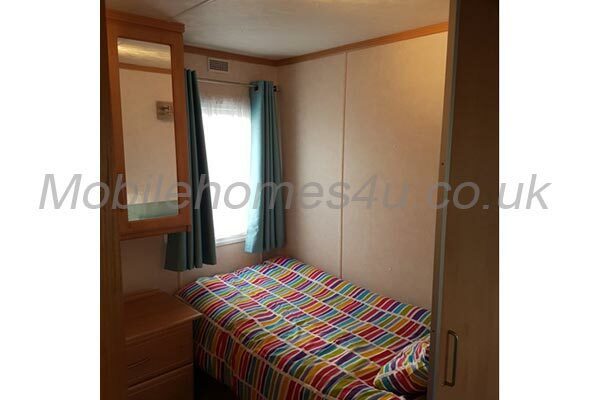 The caravan is immaculate and close to main complex in a nice quiet spot. 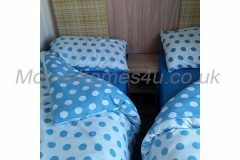 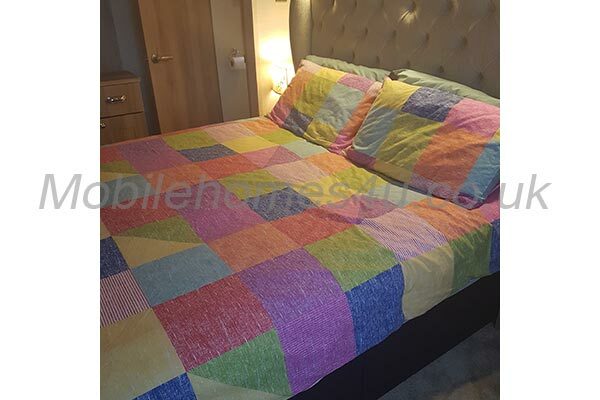 We supply all bedding and bid linen. 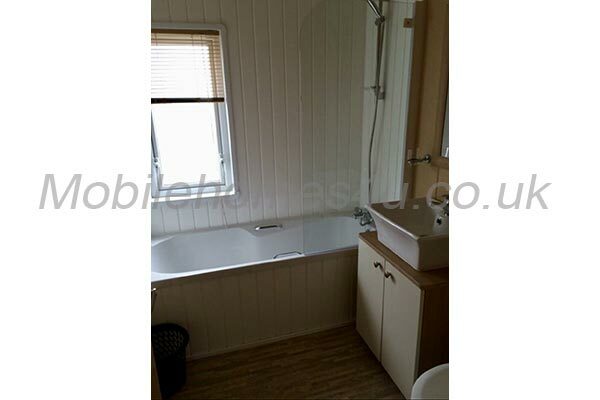 Just bring your own towels. 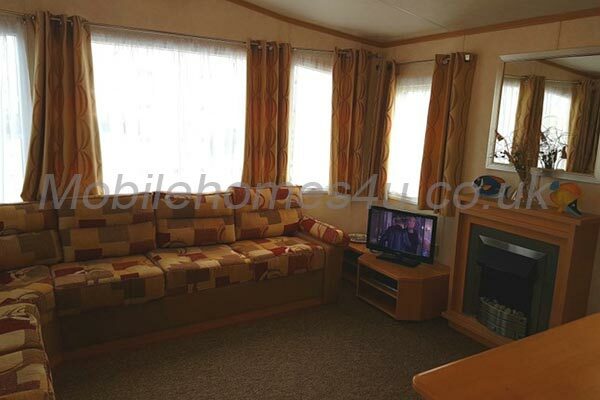 Spacious lounge with 32 inch TV and DVD player plus some kids games. 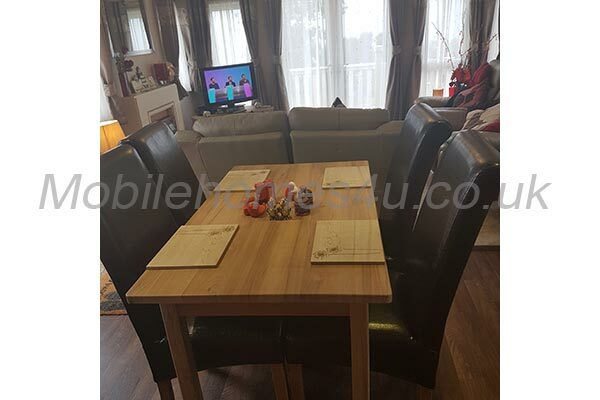 Dining table and chairs. 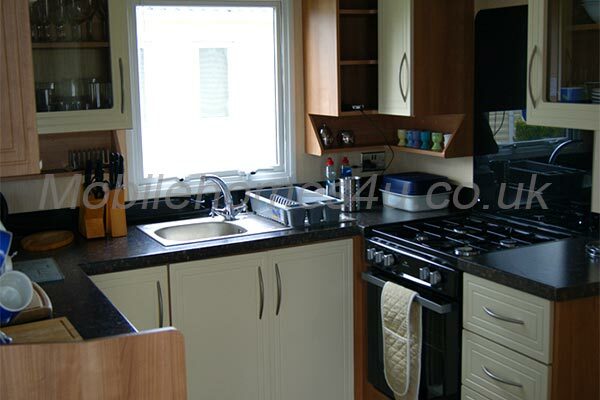 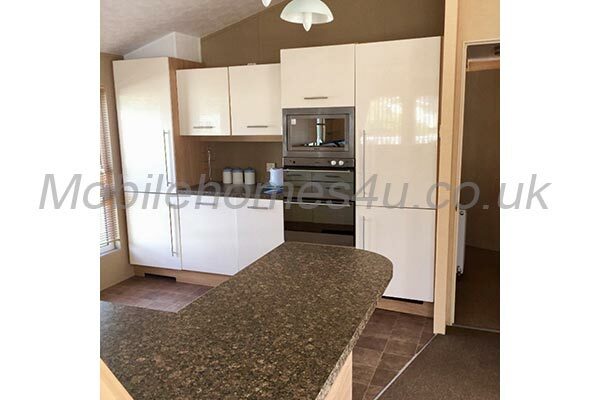 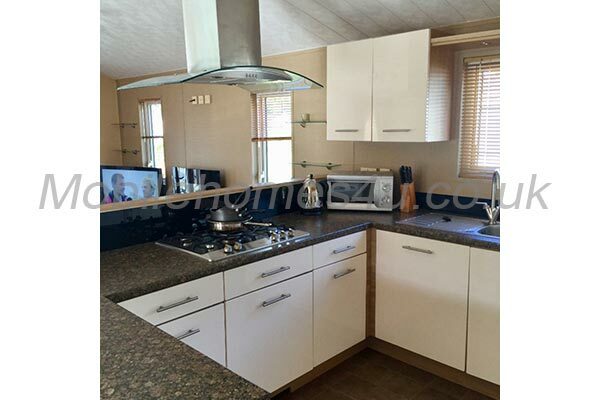 Fitted kitchen with full size fridge freezer, microwave, toaster and everything else you will need. 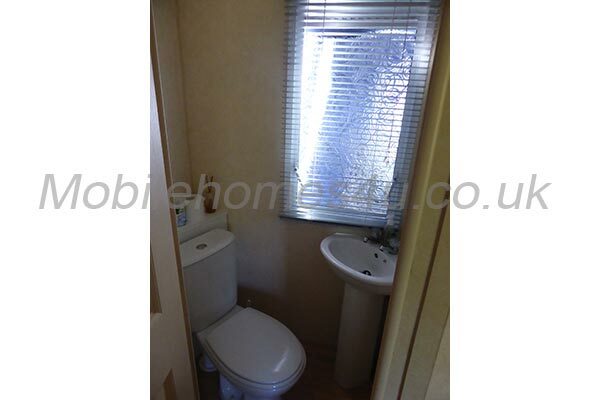 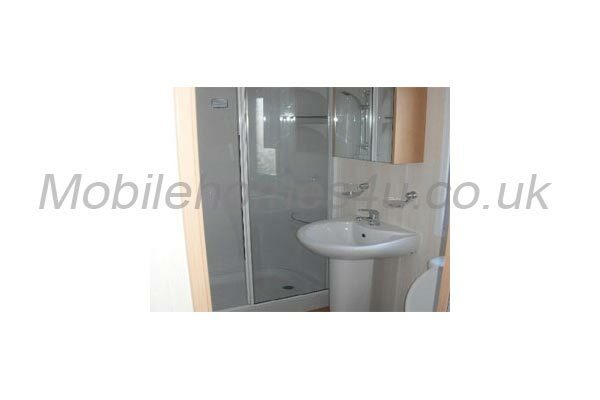 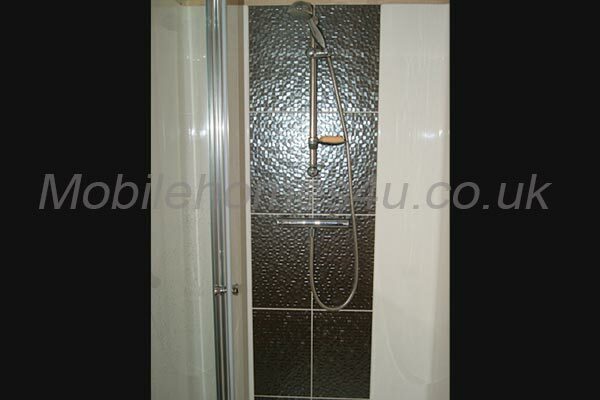 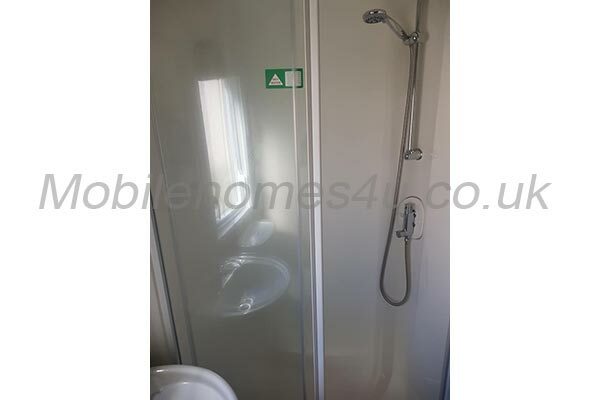 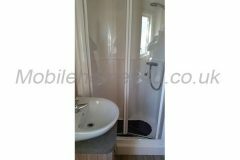 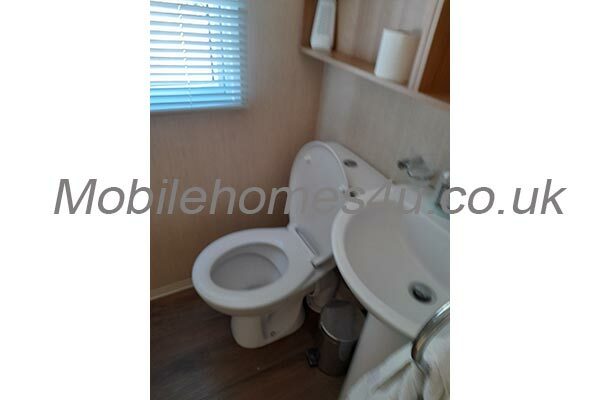 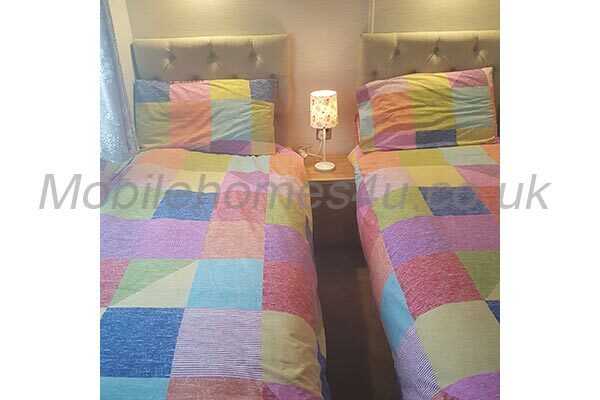 1 double with en suite plus 2 bedrooms with twin beds. 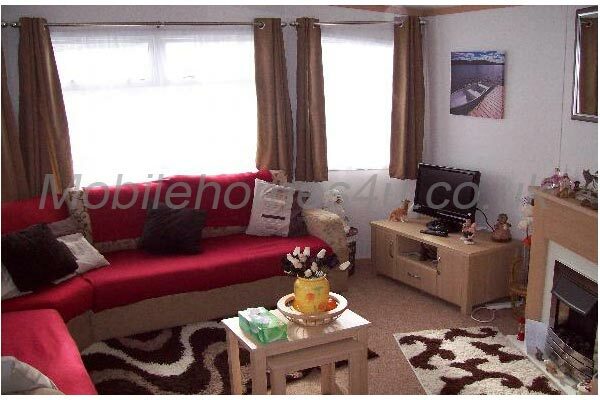 There is also a pull out bed in the lounge if required. 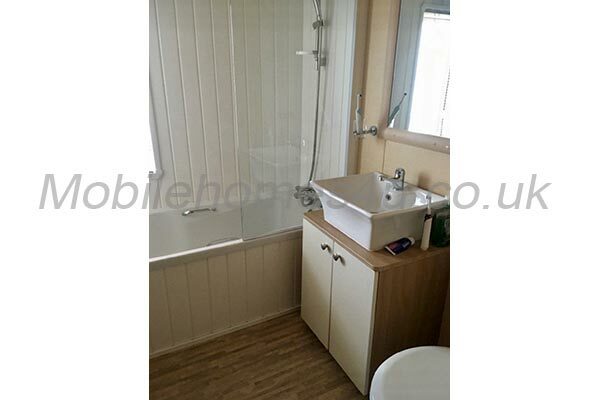 Bathroom with shower, toilet and sink. 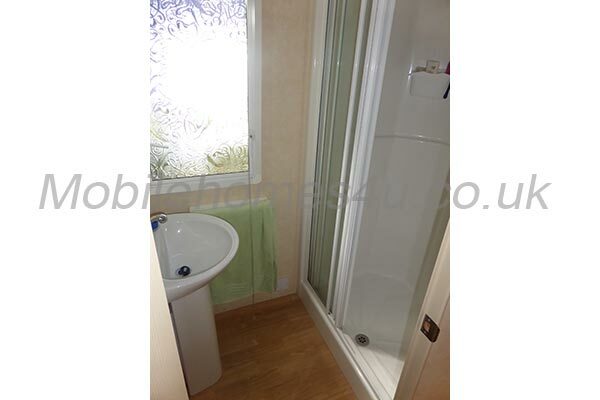 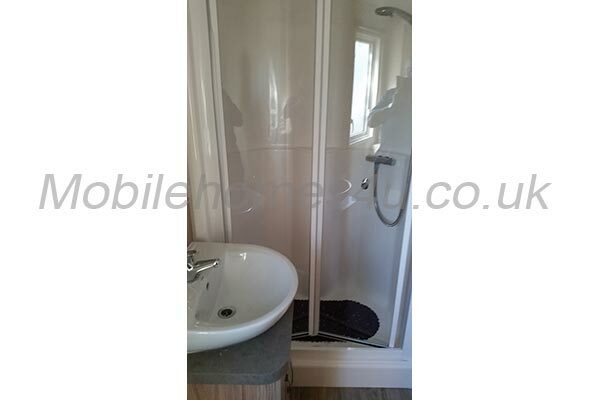 Also, en suite bathroom in main bedroom. 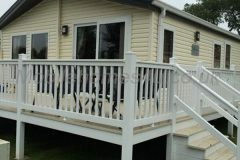 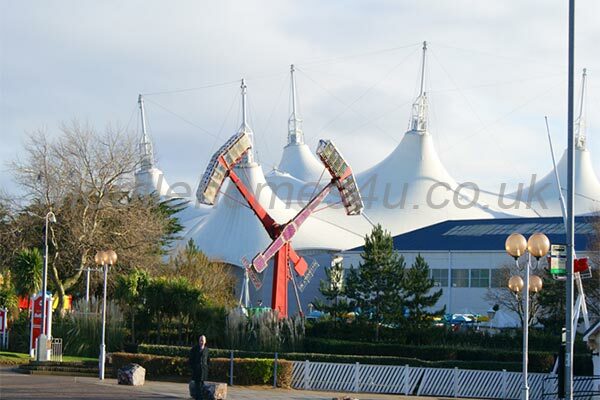 Outside there is decking and garden furniture including parasol. 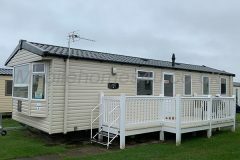 £50 deposit required when booking. When you enquire please provide name, address and mobile number and state how many for and if any dogs. 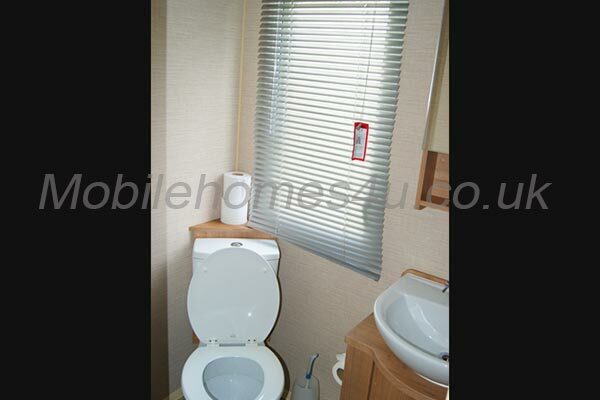 This helps for a quicker response to your enquiry thank you for your cooperation.